On orange marmalade, the world seems to be split in half: either you love it or you hate it, no shades of gray. I belong to the first group, so much that I keep making it again and again more or less every year, as soon as the jars in my pantry start to drop below the alarm threshold. Say what you'd like, but orange marmalade, made as it should be, with all the pieces of skin in, that thick, stout, and super aromatic marmalade, besides giving you the illusion of being a bit British, it also makes you happy that it’s still winter. Ok, maybe I'm exaggerating. Maybe it won't make you forget the cold, but for sure it alleviates some of the pain. The recipe comes one more time from the forum of La Cucina Italiana (oh, hi forum! ), it was the first jam I've ever tried, and I always make it in the same way because I find it really good. I admit you must arm yourselves with a bit of patience, as the process is quite long, although actual working time is the same as any other jam. Basically you just need to leave the oranges to soak in water for a few days, and they do everything by themselves. You can sleep sweet dreams. First of all weigh oranges and lemons, whole, and pour as much water as their weight in a large pot. Wash fruit thoroughly, remove the colored layer of their skin with a potato peeler, cut it into strips and add it to water. Do the same with the white part. Remove the seeds, cut citrus in small pieces, and add them to the water as well. Cover the pot and let macerate for 24 hours. After this time, put on the stove and cook gently until the orange peel becomes very tender (it'll take about an hour and a half). Turn off the heat, cover again and let macerate for another 24 hours. Now weigh the fruit-and-water mixture, and add 70% of the weight in sugar (the original recipe calls for an equal amount of sugar, but to me less than that is fine). Cook over low heat, stirring frequently and skimming if necessary. 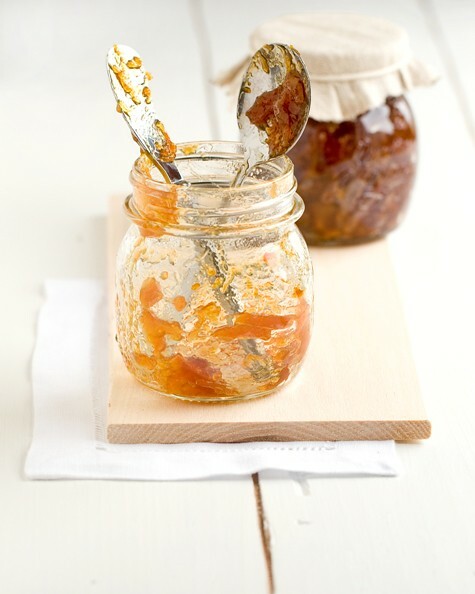 When marmalade reaches the desired consistency, pour it into clean, sterilized glass jars. Close them tightly, place them in a large pot full of water, and let them boil for 20 minutes. Turn off the heat and let the jars cool in the same water to create the vacuum. I love marmalade and this photo is edible! i love marmalade and I love this photo!